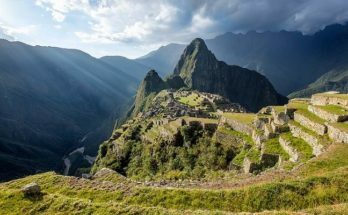 Getting to Machu Picchu can be quite confusing from afar, but here is a quick guide on how to arrange the trip on your own. Machu Picchu was never found by the Spanish conquistadores when they first arrived in Peru in the early 1530s, so as you can imagine it is well hidden. It is actually located in the Vilcabamba Valley about 46 miles (74 km’s) north-west of the City of Cusco high in the Andes. 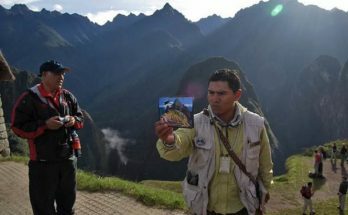 Therefore, just about all trips to Machu Picchu will start from Cusco. The terrain between Cusco and Machu Picchu is beautiful yet rugged and sometimes difficult to traverse. You can only travel by road part of the way (to Ollantaytambo in the Sacred Valley), from where you need to take a train along the narrow Vilcabamba Valley the remainder of the way. There is also the option to take the 4 days Inca Trail to Machu Picchu but that’s another story! The citadel of Machu Picchu itself is located on the top of a mountain, high above a small village on the valley floor called Machu Picchu Pueblo (once called Aguas Calientes). There are many hotels in Machu Picchu Pueblo, and if you are planning on spending a few days visiting the Inca citadel, here is your best place to find accommodations. On average to get from Cusco to Machu Picchu Pueblo will take about 4 hours of travel time. There is one main train line that runs from a town called Poroy (20 minuites outside of Cusco) all the way to Machu Picchu Pueblo. On route, it passes through the village of Ollantaytambo in the Sacred Valley (roughly the half-way point). At Ollantaytambo you can also catch the train to Machu Picchu. The duration of the journey from Poroy to Machu Picchu takes 3h18m, and from Ollantaytambo to Machu Picchu less at 1h22m. 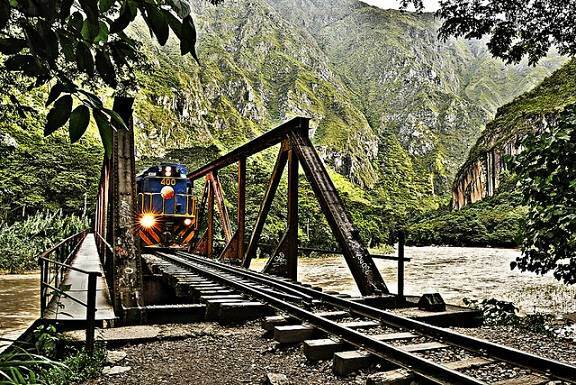 There are two train companies operating services to Machu Picchu: Peru Rail, the longest established company that has the most daily services and Inca Rail, a relative new-comer with just a handful of daily services. Peru Rail offers services from Poroy and Ollantaytambo to Machu Picchu, whilst Inca Rail offers services only from Ollantaytambo to Machu Picchu. Tickets for both train companies can be purchased in advance online through their respective English language websites (see links below). Alternatively, you can purchase tickets in person on arrival in Peru. For Peru Rail there are several ticket sales offices including 2 in Lima and 2 in Cusco. If you are not heading into central Lima, then one of the ticket offices is actually located in Lima Airport. For Inca Rail you only have the option of buying tickets from their office in Cusco, located on Plaza de Armas. It is not unknown for people purchasing tickets online to have problems with the processing of credit cards. It is worth noting that all trains to Machu Picchu have a weight restriction of 7KG’s on-board. Therefore, you will need to leave your excess luggage at your hotel or hostel, and only take what you need for your trip. All hotels have secure luggage storage, which is usually free of charge. The trickiest part of visiting Machu Picchu on your own is getting from Cusco to your chosen train station of departure. To get to Poroy station, the easiest way by far, is to take a taxi there. Forget the hassle of trying to take a local bus or a shared combi, the cost of a taxi outweighs the hassle of other means of transport. Expect to pay around 25 Soles (US$ 9). A taxi arranged by your hotel (recommended) and may cost a little bit more. Getting to Ollantaytambo station from Cusco is more expensive by taxi, about 80 Soles (US$ 30), so there are a few other options worth considering. From Avenida Grau (10 minutes from the main plaza in Cusco) there are combi services which leave about every 30 minutes. These are small modern buses (usually Hyundai H1 vans or similar), which carry 11 people and have roof rack storage for your luggage. The cost of the journey is about 10 – 15 Soles (US$ 3.60 – 5.50) per person. You should allow about 2 hours to get there, and be warned, both taxi and combi drivers are not known for their steady nor safe style of driving. In Ollantaytambo you can catch the same combi back to Cusco, where you got off on the way to the station. Please note that combi’s operate from about 7am – 6pm in both directions. Shuttle buses operate on the 30 minute route from Machu Picchu Pueblo to Machu Picchu itself. Tickets can be purchased on the day at the ticket office next to the only bus stop in the town. Tickets are valid for 3 days, so if possible buy them the night before. An adult return ticket costs US$ 18.50 and a one-way ticket US$ 9.50. There are discounts available for children. If you don’t want to pay the cost of the shuttle bus ticket, it is possible to hike to Machu Picchu too. Simply follow the road which the shuttle buses take from Aguas Calientes, and after crossing the river (about 15 minutes), you will pick up the trail to Machu Picchu (very easy to find). The hike takes about 1 hour. Well, this is the simple part! Let us take care of that for you. Simply go to our main booking form and fill in your details, we will call you to take payment and then within 24 hours we will email you the tickets in electronic format. There is a bar code on the top right of the ticket, which is simply scanned as you enter Machu Picchu. It’s as simple as that, so go and do it right now! Previous Article When is the Best Time to Visit Machu Picchu? 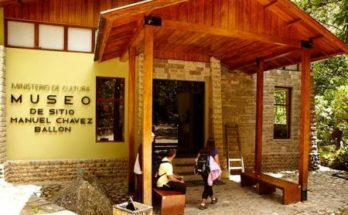 Next Article Machu Picchu Museum: Worth a Visit?